When I teach students to critically read a literary text, I always start with the text itself. We meticulously inspect the thing, identifying its various formal features—its metaphors, themes, image patterns, narrative structure, and so on. But we never stop there. Understanding a text’s form is just a start. From there, we move into context and ideology. We don’t let that literary text exist in its own special world. I believe that literary texts are intertwined in layered, multifaceted, sometimes difficult-to-detect ways with other texts (sometimes intentionally, as is the case with “intertextual storytelling”), as well as with ideology, history, institutional discourses, the identities and literacies of readers, and so on. Some videogame critics don’t like this idea. For these, any talk of history, ideology, politics, gender, or race is a distraction from the thing that matters: understanding how the game works as a game. Formalism isn’t always intentional. For example, Jesper Juul’s concept of “incoherence” (which I discussed in the last part) is incredibly useful if you’re interested in relating videogames to their players and the wider world in which play occurs. But Juul himself doesn’t explain how incoherence might be approached in terms of, say, gender or class or place. Just like I do with novels and plays and movie, I believe in a broader definition of the videogame. I believe effective videogame criticism must start with the game itself, but must take into account the contexts in which games are made and played. This evening was dedicated to mapping the space of play in terms of the ideological, personal, technological, and political forces that shape the experience of videogames. First, we explored how games gamify the physical and social space around the player. Second, we explored how games are embedded in our emotional, ethical, and interpersonal lives. And finally, we utilized queer theory to expand and complicate what we had developed into a more comprehensive, speculative, politically engaged conception of play space. We began with a discussion of Device 6, a cool little phone game created by the Swedish developer Simogo. Device 6 is a mash-up of a visual novel and a puzzle game. We play as Anna (well, mostly as Anna, because sometimes the game makes the player part of its fiction), a woman who awakes one fine day, minus memory, on a mysterious island reminiscent of the 1960s television series The Prisoner. We explore the island, encounter various puzzles, some of them head-scratchingly devious, solve said puzzles, and proceed, attempting to solve the big puzzle: Who is Anna and why is she on this island? Device 6 also makes us aware of the device in our hands—the phone or pad. We swipe the screen, rotate the device this way and that, at one point holding the phone up to a mirror to read backward text. We don’t just play the game on the device, we play the device itself. And it makes us aware of our position within networks of power and information. 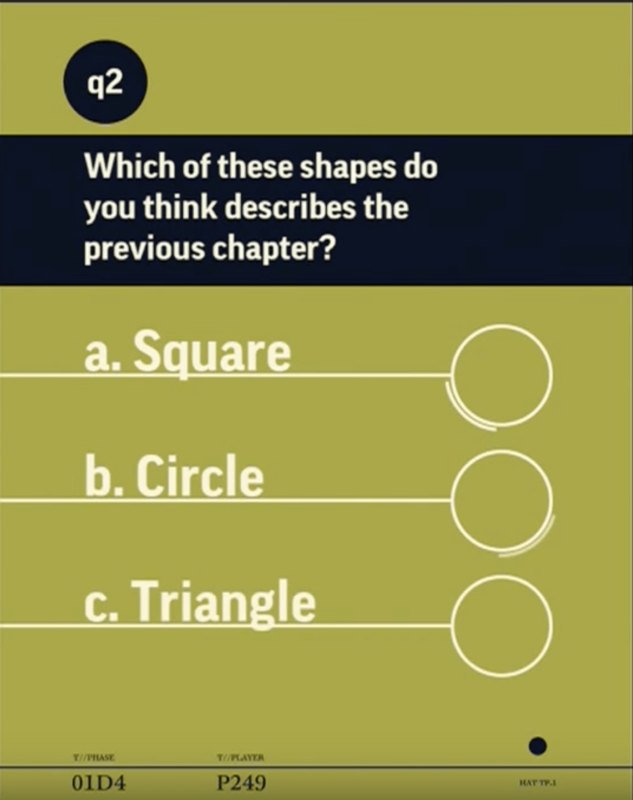 At the end of each chapter, Device 6 breaks the narrative frame and directly addresses the player. 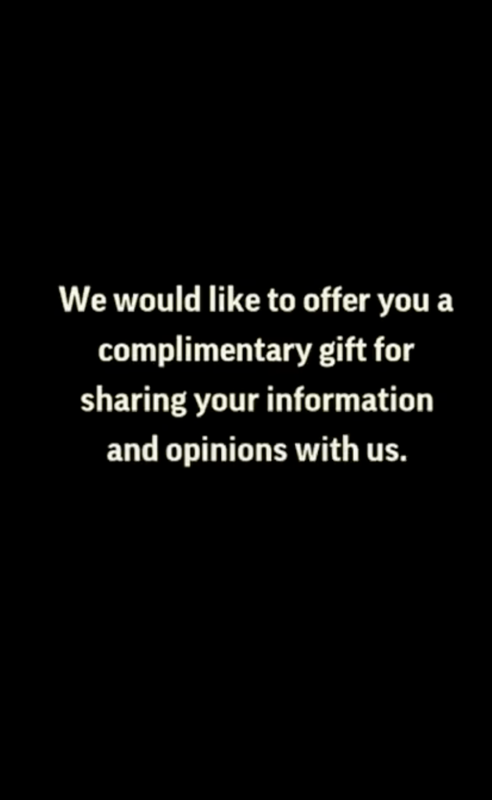 We are asked to take a brief survey, for example, or asked to divulge personal information. The game makes us aware of our phone’s interconnectedness with larger networks of power and information. Ultimately, Device 6 gamifies the spaces of videogame play: the space defined by text on a screen, the space of our bodies interacting with the videogame device, the space of data and social networks. Having established the ways a game might incorporate spaces outside the game text itself into its rules and procedures, we moved onto a discussion of three short stories from one of my favorite collections of videogame literature, Daniel H. Wilson and John Joseph Adams’s Press Start to Play. Hugh Howey’s “Select Character,” Austin Grossman’s “The Fresh Prince of Gamma World,” and Robin Wasserman’s “All of the People in Your Party Have Died” are about videogames that exist in uneasy and uncertain relationship with the worlds of those who play them. Stories about the blurred boundaries between videogames and reality are common in videogame literature, so common it’s cliché. We see the trope in the first videogame literature (Tron , Wargames , Neal Stephenson’s Snow Crash ) and the most recent (Westworld [2016-present], Jumanji: Welcome to the Jungle , Video Game High School [2012-present], Ready Player One ). Why this trope is so common is a subject for another time. All three stories for this evening explore the blurred boundaries between real life and game life, but map that blurred boundary within troubled emotional and interpersonal spaces. “Select Character” is about a new mother who ekes out a bit of daily self-care by playing her husband’s first-person military shooter. “What I liked about this game is that you could do whatever you wanted,” she tells us. “Except play as a woman, of course” (490). On a whim, she decides not to follow the game’s macho military narrative, following instead a path of non-violence and generosity, a challenging task in a game designed to reward headshots. On this particular afternoon, her husband discovers that she’s been playing. He’s thrilled, but when she shows him what she’s been doing, he’s confused. “You know the purpose of the game is to score points, right?” he asks (493). What she plays, instead, is “the game within a game. My little solace. A walled-off courtyard with five raised planters. And inside each one, a mix of flowers and vegetables. My flowers. My vegetables” (497). 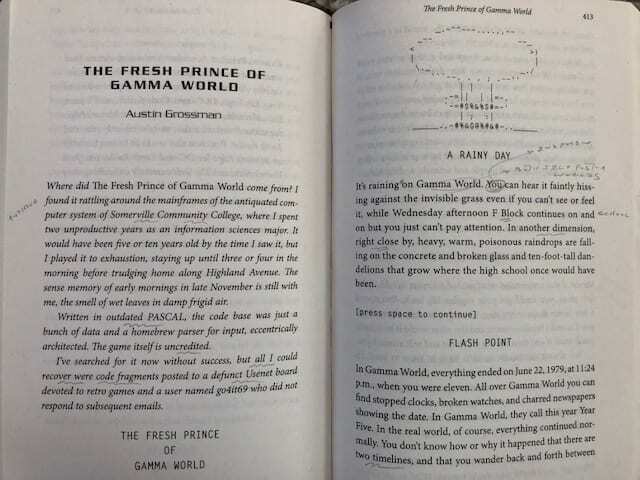 Grossman’s “The Fresh Prince of Gamma World” is an enigmatic little narrative, intertwining the story of a player character in a post-apocalyptic interactive text game with the story of a young man attempting to survive the inexorable, bruising decline of his family, friendships, and hope. I like how Grossman frames his tale: the narrator found the game Fresh Prince of Gamma World “rattling around the mainframes of Somerville Community College” (412). The game has no historical value, no connection to a larger gaming community. “Written in outdated PASCAL, the code base was just a bunch of data and a homebrew parser for input, eccentrically architected. The game itself is uncredited” (412). Indeed, the story the narrator tells is a story of playing the game in the past. He no longer has access to it and when he searched for it, he tells us, “all I could recover were code fragments posted to a defunct Usenet board devoted to retro games and a user named go4it69 who did not respond to subsequent emails” (412). I also love way Grossman uses the space of the page. The world of the game is represented in one font, the “real world” of the player in another. As Grossman intertwines the two narrative threads, he also intertwines these font shifts, and when the story ends, we are left with this enigmatic landscape. “The Fresh Prince of Gamma World” delves deep into the fantasies of masculinity that underwrite so many players’ passion for gaming—and the melancholy that so many players work hard to avoid and deny. The protagonist of Wasserman’s “All of the People in Your Party Have Died” is a lonely, self-isolating woman who falls in love with a fellow female instructor at a private high school. The story is set in 1988, and the protagonist, Lizzie, is struggling with becoming an adult, with the loss of her liberal optimism, and with pain she feels about the friends she has lost to HIV-AIDS. The sci-fi twist of the story is that the game of Oregon Trail Lizzie plays in order to spend time with her lover without causing undue suspicion is causing actual illness, injury, and death to her students, family, and friends. Our discussion of these stories marked the moment when we began to think seriously about why literature about videogames is as important as videogames themselves. Howey, Grossman, and Wasserman map the shadowy, shifting spaces in and around videogames the way only fiction can. They map spaces of memory, consolation, jealousy, and rage. They map spaces of sharing, desire, betrayal, and regret. And they remind us that, while not all videogames tell stories, every videogame player has a story to tell. To review, this evening started by exploring how games gamify the spaces around us by talking about Device 6. 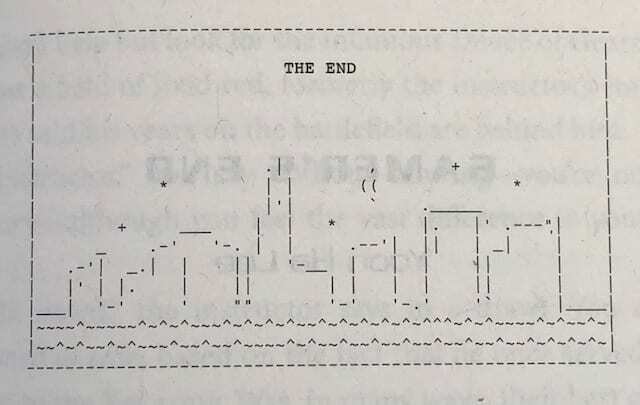 We then delved into how games insinuate themselves into our lives—and vice versa—by discussing the short stories by Howey, Grossman, and Wasserman. It was time to tie these ideas together, and to help us in that, we turned to Naomi Clark and Merritt Kopas’s essay “Queering Human-Game Relations.” I can’t recommend this essay strongly enough and urge you to read it or watch the live (and unabridged) recording of their keynote to the 2014 Queerness & Games Conference. Clark and k (merritt k is now her preferred name) investigate how videogames function as representational systems, how players relate to games and other players, and how videogames replicate and complicate normative ideologies of gender and sexuality. To accomplish this, they explain how games can be “queer” and how players and play communities can engage in “queering” practices. NOTE: If you’re not familiar with the terms “queer” or “queering” as they’re used by academic critics, the first thing to know is that neither term should be used casually, especially if you’re straight (which I am). Even in the LGBTQ+ community, the term can sometimes be controversial, even though the “Q” in “LGBTQ+” stands for “queer.” I’ve been chastised on more than a few occasions for using the word, usually in situations where I was unable to provide a full background on the term or failed to alert my audience to the hazards of using it casually. I proceed here with semantic caution. Typically, when we call a game “queer,” we speak to the game’s content: the presence of LGBTQ+ characters, for example. While Clark and k agree that queer content in games is important, they don’t want to stop there. As Clark explains, “Queer is a word in a constant process of mutation, inherently unfixed.” Further, “it’s inextricably bound up with the idea of resisting dominant, naturalized narratives and categories . . .” Storylines and characters are important, yes, but videogames are much more than storylines and characters. That’s where Porpentine’s gorgeous, creepy, and deeply moving Twine game With Those We Love Alive comes in. I don’t want to give too much away. Go and play it. It’s free and doesn’t take long. You can find it here. While I love the story that Porpentine tells, what I love most about it is the way the game pushes against my desire for progress. The first time I played the game, I felt stuck. There were periods where I just kept doing the same thing over and over. I wasn’t progressing. I was getting bored, frustrated. Then I realized that that was the point. In a sense, the game glitches both the narrative of heroic overcoming and game mechanics that treat the gameworld like a puzzle. The world of WTWLA is not a puzzle to be solved, but an emotional situation to be endured. I also love the way WTWLA incorporates my body into its mechanics—it literally asks players to gamify their breath and their flesh. We’re asked from time to time to draw on our skin, to inscribe sigils that memorialize significant moments in the game. You can see a gallery of player sigils here. There is something intensely embodied about drawing on our own skin. And there is a thrill to walking out in the world with these enigmatic sigils on our hands and arms and legs. We bring our experience in Porpentine’s world into our world. WTWLA is a perfect example of a “queer” videogame. It reminds us that, if we’re going to talk about how games represent gender and sexuality, we need to talk about content (storyline, characters, themes, dialogue, settings, etc. ), but we also need to talk about mechanics (choice, movement, leveling, agency, etc.) and player performance—what players do, what they imagine they’re doing, who they’re doing it with, where they’re doing it. Clark and k want us to be open to different kinds of games but also to different ways of playing games: “Mutating, breaking, and twisting games are valuable actions insofar as they help make visible our assumptions about play. As Pedercini puts it, this is a ‘slow and collective process of hacking accounting machines into expressive machines.’” If we can do this, then maybe games really can help us play our way out of game space into a better future.